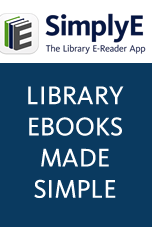 Bring the world into your library – Get the Maps.com Public Library Collection today! Filled with primary source information, full-text articles on current events, historic reference materials, maps, videos and more. Spanish Language Content: Learning Spanish, Learning English –full text articles and maps put language in context for library users. National Geographic Content: Short videos, maps and historic reference materials from the worlds leading Geographic Publisher. Reference Atlas: Click for maps, statistics, flags and information for every country, continent and region of the world. INCLUDES BONUS INFORMATION ON US STATES AND COUNTRY COMPARISON TOOL! Map Collections: Thousands of historic, scientific, thematic, static and interactive maps from Maps.com and leading publishers. Great for homework, geographic research, language and literacy development – engaging and entertaining for everyone from Kindergarten through adults.